Hey Friends! Artie the Dragon, his family, Sheepie, and the Wizard want to meet you. They all live in an enormous forest with many magical creatures. 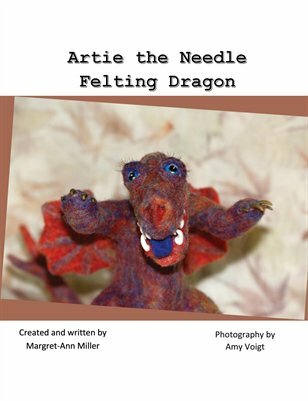 Artie wants to show you how he became a needle felt artist. The Wizard taught Artie how to use a felting needle and Sheepie's wool to make all sorts of cool creatures. It's kind of like making something with clay, only you use the felting needle instead of your hands to mold wool instead of clay. Got it?! Artie sure does. He just can't stop. Every chance he gets he pokes, and he pokes, and he pokes!